The MEGAMAN® TECOH® LED range consists of high performance LED Light Engines (LLE's) and modules. The TECOH® RDx are round disc LED modules which are non-socketable and require an external electronic driver. The TECOH® RDx modules are designed in line with Zhaga Interface Specification Book 3 and offer lumen packages of 1690 up to 8310lm. The MEGAMAN® TECOH® FLx is a range of rectangular shaped LED modules designed, where available, in line with Zhaga Interface Specification Book 7. TECOH® DFx are compact, rectangular shaped LED modules specially designed for ambient lighting. Multiple units can be connected for vaious luminaire sizes. TECOH® APx is an LED light engine with on board driver for easy installation. TECOH® APx operates directly from the mains. This LLE option allows a LED upgrade in fixtures lacking space for external driver integration. TECOH® THx modules and LED Light Engines offer an alternative to the higher energy consuming PAR16, AR111 and MR16 halogen products. 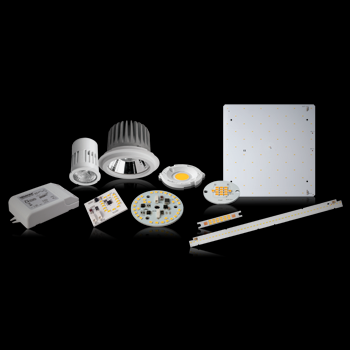 All solutions have optics built-in, some versions even have the driver built into the LLE to allow an easy tough unique upgrade to highly efficient LED lighting.